A British iPad drawing, beaded Cameroonian sculpture, battle helmet–turned-lyre, and an Impressionist oil painting all may have been created oceans apart, but these works have come together in Hamilton, N.Y. They’re four of many pieces on display in the Picker Art Gallery’s exhibition Colgate Alumni Collect, which merges the artistic mindsets of four alumni who collect artwork from around the globe. Paul Jacobs ’67, Rick Stone ’81, Oscar Seikaly ’83, and Anne Huntington ’07 lent pieces from their private collections for the exhibition, on view until July 2. 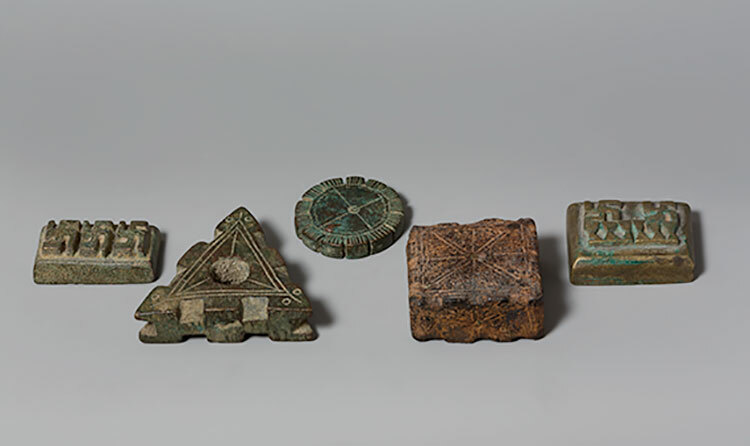 The pieces range from tribal antiquities, like the Ghanaian goldweights of Jacobs’ collection (above), to modern mixed-media pieces from Seikaly’s selections (right). 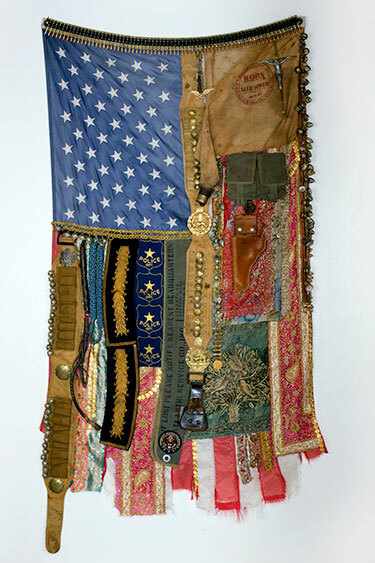 The show also features artworks from the Picker’s permanent collection. Ramirez, along with Natalie Bryt ’17, Kally Mott ’17, and Julia Wolf ’17, curated the exhibition during the academic year by interviewing the collectors, writing the catalogue, and carefully selecting pieces for the show. The students and alumni worked in teams of two: Ramirez and Seikaly, Bryt and Stone, Mott and Jacobs, and Wolf and Huntington. The student-alumni collaborations of Colgate Alumni Collect were so successful that the Picker is already planning future exhibitions.